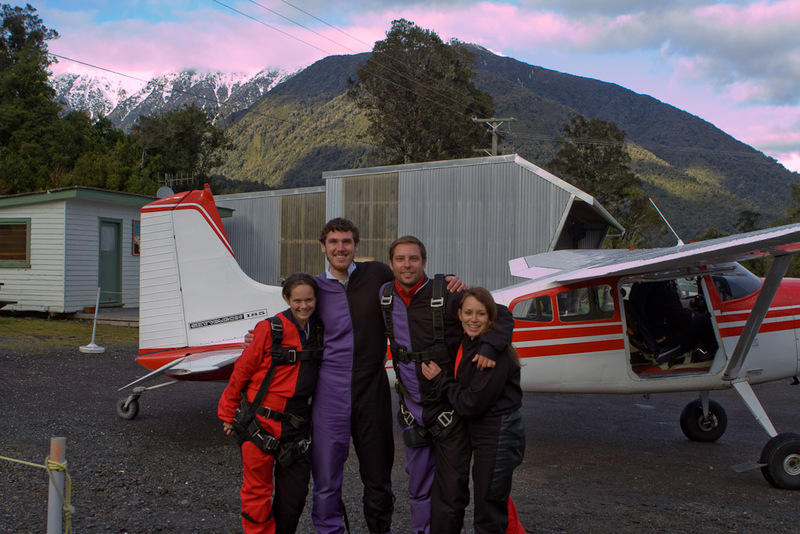 The four Stray passengers that decided to skydive over Fox Glacier. 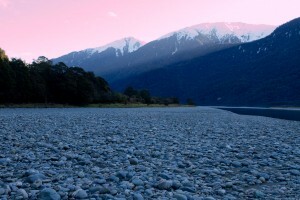 After our visit to Franz Josef Glacier yesterday, we’ve got two days of transport before arriving in Queenstown. Today we traveled to the hamlet of Makarora which didn’t have much for us except for dinner, a place to sleep and karaoke, but I’ll get to that in a minute. Five of us woke up very early this morning, four to jump out of a plane and myself to get some pictures of them doing so. We got picked up at 7am with another four people also scheduled to jump and headed out to Fox Glacier. After some paperwork and a briefing they started jumping in pairs with our guys and gals going last. We stopped before sunset at the edge of a river to view a waterfall and ended up taking 30 minutes to skip stones along the river. Once the jumps were through, we got a lift to Lake Wanaka to meet up with our bus. 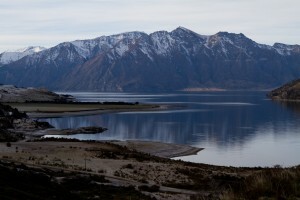 We grabbed a bit of food and got some pictures of the lake before boarding the bus to head to Makarora. 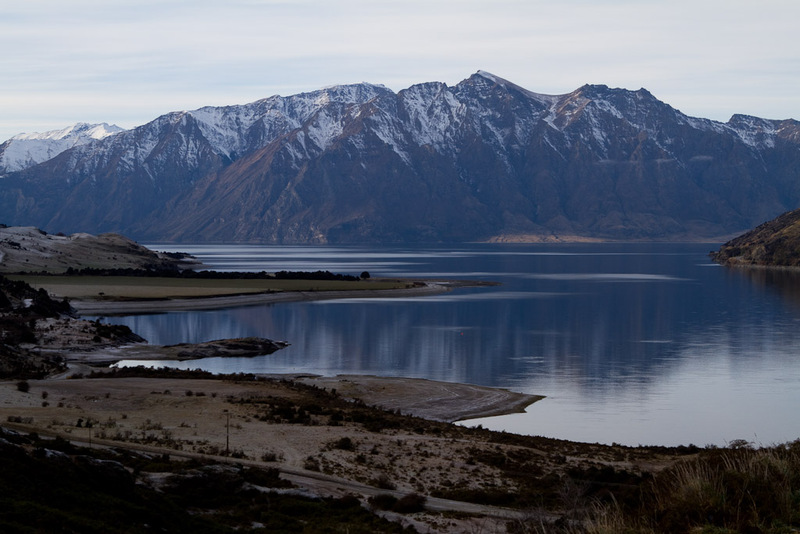 We had another day of New Zealand’s stunning south island scenery, with a few stops along the way for breaks and pictures. We arrived at the Makarora Tourist Center and packed into two cabin-like buildings with a few couples splitting off to grab doubles. After watching a few skydiving videos we headed to the restaurant where we’d pre-ordered some meals and had a decent dinner by the fire. A couple hours and a few drinks later the Karaoke machine went on. I’m certainly not one for karaoke. I figure I sing in my car with the volume turned up and will do karaoke with a group, but that’s about the extent of my ability. You’d have to get me pretty liquored up to have me go solo. 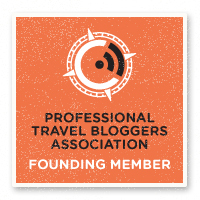 That being said, most of the bus got involved and our guide even took a turn at the mic. 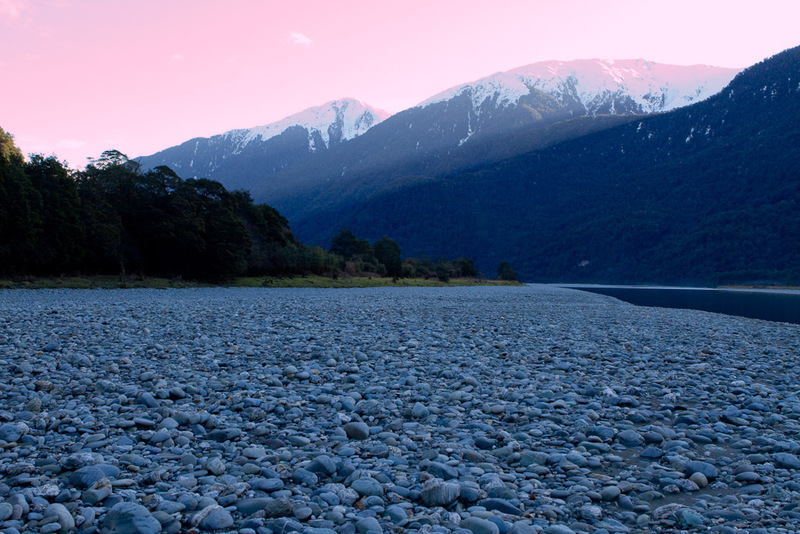 It's no wonder Peter Jackson chose New Zealand as the location to film Lord of the Rings.